Exploring the European continent is every traveler’s dream. This continent has nature, adventure, history, royalty, cuisine, fashion and shopping re-treat to satisfy every type of traveler! There are 50 sovereign states/countries in the European continent. Out of the 50 countries, 26 countries are part of the Schengen Visa agreement, which makes traveling very convenient. This post highlights the prep work, information and research that you will need for planning a trip to Europe – this is your Europe Planning course 101. 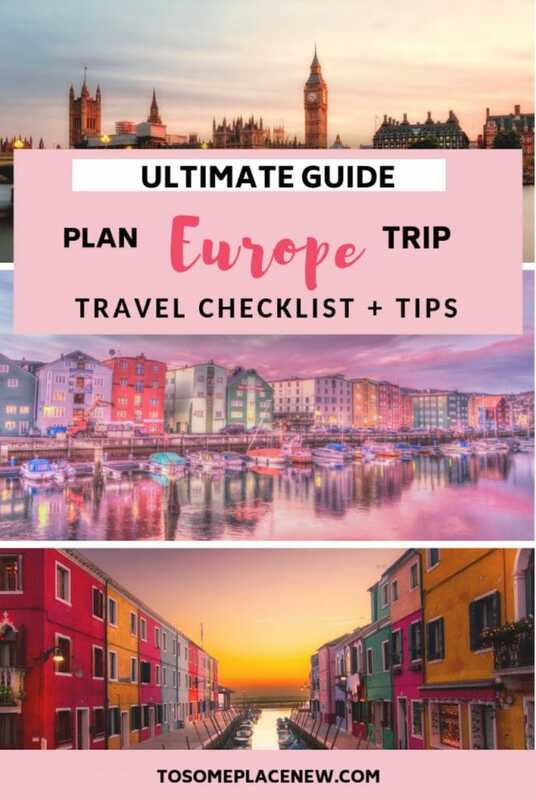 We have also included an Europe Travel Checklist to guide you from paperwork, insurance to packing for an unforgettable European Vacation. Why should you visit Europe? There are many reasons why you should consider visiting the mighty continent of Europe. History – From the western Allied Powers to the Eastern Bloc, the European continent has chapters and chapters of history lessons that you shouldn’t miss. In many ways, it has the answer of many present political status and geographical existence. 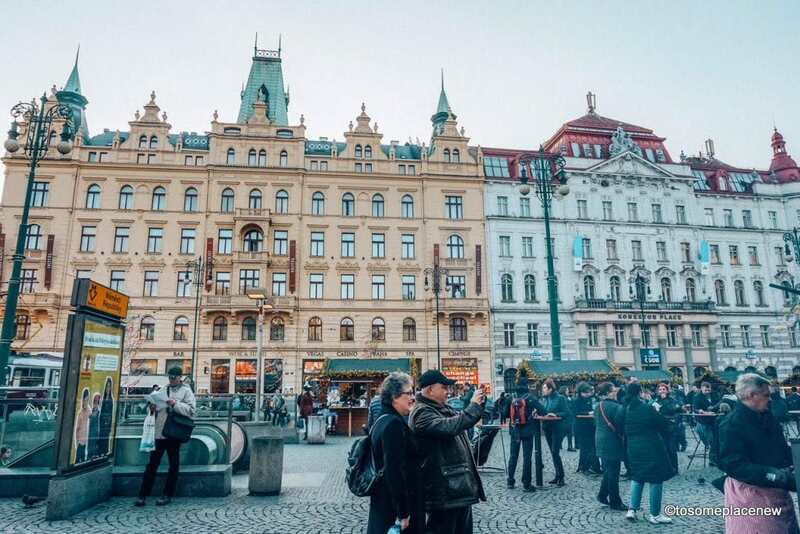 Popular tourist areas – Most cities in Europe are often romanticized in our books, television and movies, so not exploring Paris or London or St Petersburg or Rome means you are missing out! Things to consider when planning a trip to Europe. Choose where you wish to travel to. There are different visa requirements for different countries in Europe. I wish to live in an igloo in Finland. Fingers crossed, hopefully soon! Check flights to the city and/or nearby city. Sometimes flights to satellite cities are cheaper. Budget – One way of saving is to book in advance and online for hotels and tours. You can also save on subway tickets or day passes for the city you are visiting. In-depth exploration – Visiting one city or a small country will allow you to settle in to the new city to explore and learn more about the history and the place itself. We have found that visiting multiple cities and countries is possible and one the MOST effective use of your time and money in Europe. Most European nations are located 1 to 4 hours away (major city to city). So waste the gift of close proximity. Here in Canada, my commute from work and back is more than one hour! Once you choose the city/country of your choice, book your flights. Then book trains or buses or tours to explore nearby countries as a day trip or stay in each country for a day or two. If you require a visa (Schengen visa), utilize the visa granted to make the most of your Europe trip and visit multiple cities/countries. So, if you are considering visiting multiple countries, it’s a GREAT choice, especially if you are traveling from the United States, Canada, India or Australia. 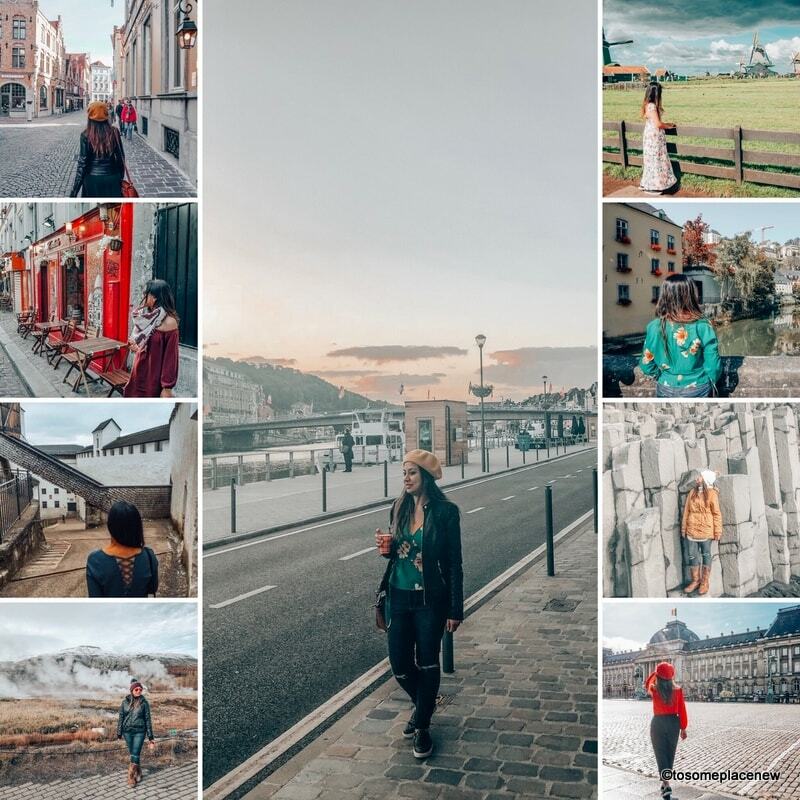 You had invested a lot of time, money and flying hours that you deserve to check off more from the European trip bucket list. You can go as FAST as you want or as SLOW as you want, depending on your interest, funds and time off (from work or school). You might also find that you may or may not like some cities or countryside and want to stick to the MAJOR cities and cover the main highlights. A day or two might be enough for you. Or you might like to explore MORE (city and countryside) and cover 3 countries in 3 weeks of time off, it all depends. I have clubbed some countries and areas together here which are close to each other and can be explored in a week and up to 3 weeks. You can definitely revise this to include only the major cities. The list below is created based on ease of travel with train, buses and tours (or drive), without the use of flights in reaching from one country to another. Budget your trip based on flight availability. Consider frequency and pricing when you decide to fly to Europe. There are different ways to save on accommodation in Europe. Choose from luxury hotels, hostel, airbnb or couch surfing. Its a great option to venture into Europe by train. You can reach another country in less then 3 hours (London to Paris is 2.15 hours by high speed trains) and also look at the beautiful terrain outside. What passport do you possess? Visa required – Schengen visas (applicable for 26 countries) and individual visa (like for UK, Russia, and some Balkan states, etc.) are required to be applied and approved ahead of time. Proper itinerary, insurance and availability of funds is essential to be approved for visa. Travel to European countries for up to 90 days (within a 180 day period) is available without any visa for passport holders of certain nationalities, including Canada. Use this website to find out, if you qualify to travel visa-free Do you need Visa to travel? Starting from January 2021, all previously visa exempt countries will now have to apply for ETIAS (European Travel Information Authorization System) online before arriving or landing in a Schengen country. Passport should be valid for 3 months after the intended date of departure from the Schengen zone. Schengen visa – The 26 Schengen countries are: Austria, Belgium, Czech Republic, Denmark, Estonia, Finland, France, Germany, Greece, Hungary, Iceland, Italy, Latvia, Liechtenstein, Lithuania, Luxembourg, Malta, Netherlands, Norway, Poland, Portugal, Slovakia, Slovenia, Spain, Sweden, and Switzerland. Schengen Visa Travel Insurance and itinerary is important while applying for Schengen Visa. You can choose for a single entry or multiple entries. Schengen Visa is requires to include repatriation of remains coverage as well. European cities are popular, crowded and huge tourist (and pickpocket) magnets. Keep your belongings safe and secure in an anti-theft bag. These bags are made up of special material that are cut off and slash proof, making it impossible for thieves to get access. Some come with RFID protection to safeguard your credit cards and passport codes. I have written a whole post about anti theft bags and how to choose the good one. Check it out here. Moving on to clothes. Who wouldn’t want to look great in photos while on vacation? I know I do. Start with the weather. If you are traveling during Spring-summer-fall months, definitely carry some light dresses, linen pants, casual shirts and blouses. They are nice to wear during the day. And will dry faster when you wash them. Comfortable walking shoes – covered. It rains a lot in Europe. May be not so much in the summer time. But if you are traveling in fall or spring (which are off season), chances are you will be showered with blessings every now and then. We were in Budapest in spring and it rained, so we bought an umbrella there. Not a bad idea, you would think, but – but Europe is also windy and carrying an umbrella in crowded areas is NOT fun (nor are you hands free). If you are flying budget airlines, you will have to pay luggage fees for extra bags, why do that? Save it for travel. Travel light. Also handy, as you can land and start exploring RIGHTAWAY. That is what we did in Munich and Iceland (Keflavik). We landed and grabbed coffee and out we go to explore the new city. An adaptor is a MUST pack item when you are traveling to Europe from other continents. An adaptor allows you to plug your electronic device from one country into the wall outlet of a country in Europe. Whether you are traveling from North America or Asia, you will need one. We carry one with us, that was multiple adaptor ports to connect to different countries when we travel. A word about adaptors versus converters. Converters help in converting electricity. Like they allow a dual voltage appliance to be converted into the voltage recommended for that country, where you are using it in. They include items like hairdryers, shaving machines, etc, but only if they are dual voltage. Converters are not designed for “continuous duty” and should only be used for short periods of time, unlike adaptors that you can use for prolong periods of time to change your electronics. Most of the hotels, cafes in Europe will provide you will FREE WiFi. These handy apps are a MUST have on your phone or tablet. Orange Holiday Europe SIM Card. All the Schengen zone countries accept euros as a medium of exchange. But you will also find that each of these countries also have their national currency like Krona (ISK) in Iceland or Floriant in Prague, Czech Republic. So many a times you might get change back in their local currency, even if you pay in Euros. That’s where, credit cards come in. If you have an international credit card (which most banks provide bow-a-days), use that instead to avoid carrying cash or change. In our opinion and recommendation, carry both. We carry some cash (euro bills) to pay for subway tickets, coffee, washrooms, snack, etc. Our credit card is our back up, in case we ran out of money or an emergency. While traveling in Central Europe, from Prague to Budapest, their national/local currencies are different, so we ended up spending all the Prague currency (the lose change we got, it was not a lot though). For countries outside the Schengen zone, like UK uses GB pounds, Russia uses Russian Ruble. A credit card will save the hassle currency exchange, if you are traveling to multiple countries in or without the Schengen Zone. If you plan on driving in Europe, you will need an international drivers licence. (Our American, Canadian provincial or Indian licence won’t work). Apply for an international driver’s licence and make sure it’s valid before your travel. Awesome post you go into a lot of details it’s really helpful! Thanks Gabby! Glad you found the article useful. Great general post with so many useful details. Initially, I was drawn to the beautiful collage of pictures but the info was really useful. very detailed and informative. It is always hard to narrow down countries. I like how you say have a wish list then look at practicalities such as flights. I live in Europe but had no idea that flights over to the states and Canada are fairly affordable! Thanks so much! Glad you found the article useful. This is a great comprehensive guide to planning a trip through Europe. Myself and partner are currently planning a huge trip through Eastern Europe this summer and we can not wait. We plan to go overland but when we start our trip, we will fly into the cheapest place and go from there. Thanks for all these ideas. That’s lovely Katie. Hope you enjoy your trip. I am sure you must be excited, we were too when we started for our first Euro trip! Great tips here. I’ve been to Europe a few times and heading there again in June to go to Italy, definitely a lot of planning involved. I discovered Wow 2 years ago and have not turned back. I’m now into British Airways as well, it’s important to find an airline that works for you especially if you’re a frequent flyer.